As a value-add, U.S.- China Law Group organized a group of experienced consultants to provide its clients with a variety of expertise. Among this group are consultants who are knowledgeable in China law, familiar with markets in both the U.S. and China, and experienced in dealing with government officials, successful entrepreneurs, famous college professors, and venture capitalists. This team of "hidden dragons and crouching tigers" is prepared to provide you with valuable advice. 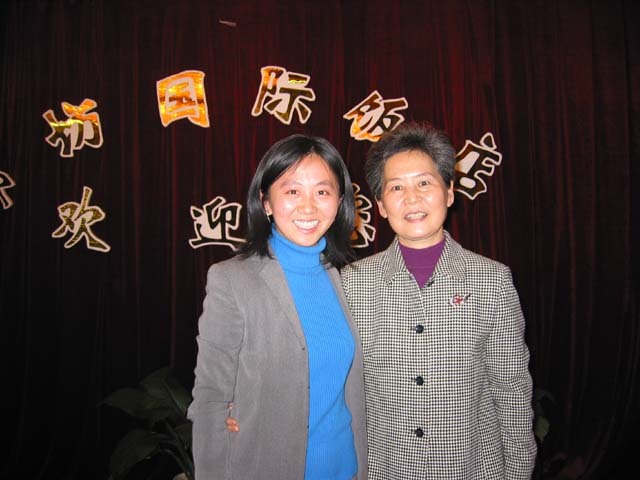 Bing Rui, a U.S.-China Law Group Partner, meets with the Governor of Heibei Province in China. ....................... Copyright(C) 2002 U.S.-China Law Group. All rights reserved.